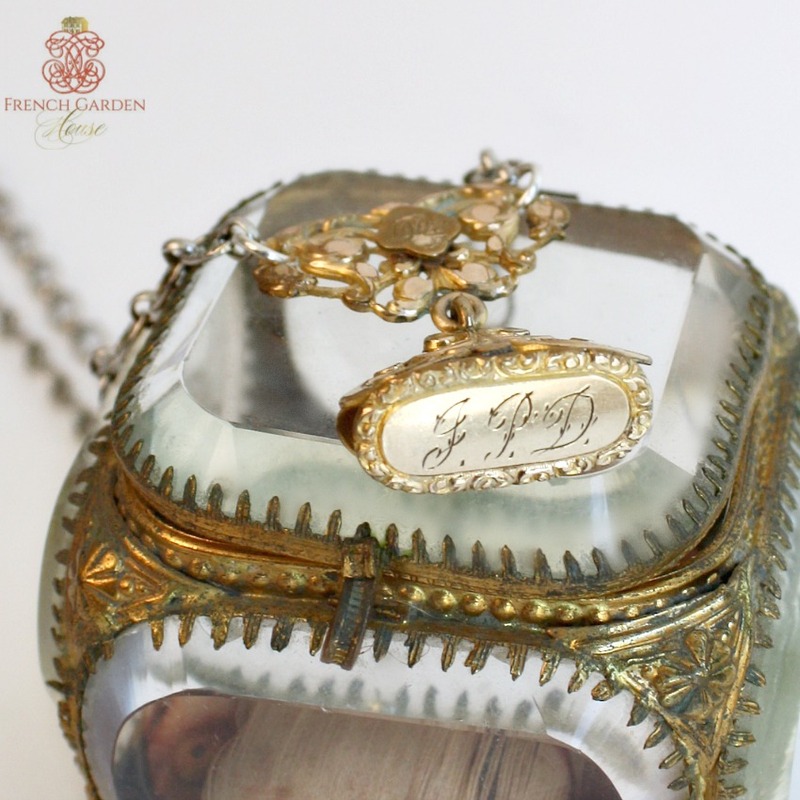 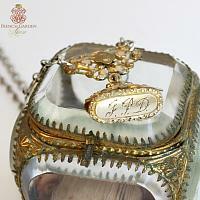 This wonderful Edwardian Fob has the most beautifully monogrammed watch fob as its focal point. 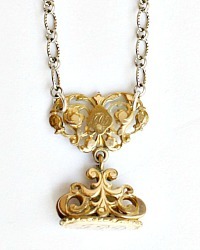 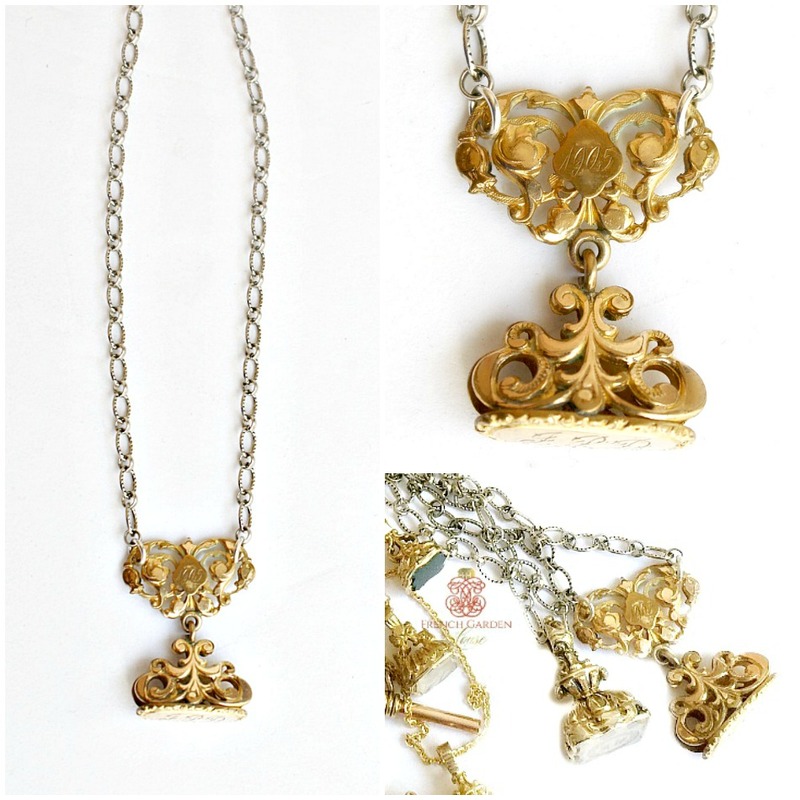 Wear the history and charm of the 1900's, this lovely fob comes on its original heart shaped hanger engraved 1905, the fob initials are J P D. The ornate and decorative fob was loved and worn daily by a lady whose name began with a "J" long ago, and shows some wear as shown, it measures 3/4" l x 7/8" w. not including the heart. Beautiful, one-of-a-kind, an exceptional piece of jewelry to captivate your heart. 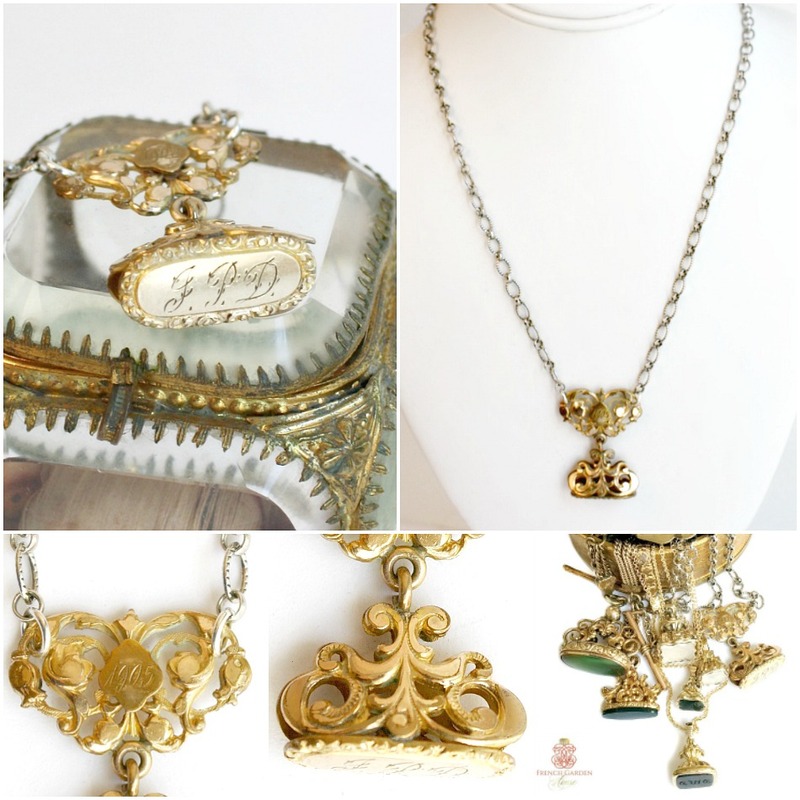 For your collection, curated by Karen Lindner.